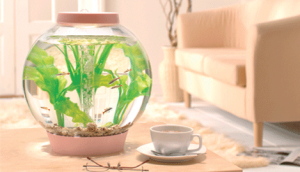 Home › Biorb Articles › Direction On How To Use A Fish Antibiotic Tablet In Your BiOrb Fish Tank. The tablet antibiotics are just like any tablet you would encounter with the antibiotics intended for human use. The how to administer the tablet differs on the type of antibiotic. Some antibiotics instruct that you simply drop them into the tank, while another will have you pre-dissolve a tablet in a separate tank and then have you put the fish in that said tank. Add one tablet (250 mg) into aquarium for each 10 gallons of water to be treated. Repeat in 24 hours. It is suggested that a partial water change be made between treatments. While treatment duration depends on type and severity of the infection, it is recommended that extended medication baths continue for a minimum of 5 days and not more than 10 days. Discontinue treatment with this medication if no improvement is noted within 5 days. Add one tablet (960 mg) into aquarium for each 40 gallons of water to be treated. Repeat in 24 hours. It is suggested that a partial water change be made between treatments. While duration of treatment depends on type and severity of infection, it is recommended that extended baths in the medication continue for a minimum of 5 days & for not more than 10 days. Discontinue treatment with this medication if no improvement is noted within 5 days. To remove harmless yellow color, change 20% of water and use charcoal filter until clear. Pre-dissolve one tablet (250 mg) per 1 gallon of water in a small amount of water prior to adding to a hospital tank. Immerse for one hour. Repeat every day for 5-7 days with daily water changes after each treatment. Ciprofloxacin chelates divalent cations water hardness (increase dose for marine fish) and high divalent cations in diet. Its activity decreases with high pH (>6.9). It can be bacteriostatic or bactericidal depending on the effective concentration at the target site. Pre-dissolve one tablet (500 mg) per 2 gallons of water in a small amount of water prior to adding to a hospital tank. Immerse for one hour. Repeat every day for 5-7 days with daily water changes after each treatment. Ciprofloxacin chelates divalent cations water hardness (increase dose for marine fish) and high divalent cations in diet. Its activity decreases with high pH (>6.9). It can be bacteriostatic or bactericidal depending on the effective concentration at the target site. Add the contents of 1 tablet (Sulfamethoxazole 400 mg & Trimethoprim 80 mg), to 8 oz. of drinking water, make a fresh solution daily. Continue treatment for 7-10 days. ‹ Directions on How to Use a Fish Antibiotic Capsule in Your BiOrb Fish Tank.